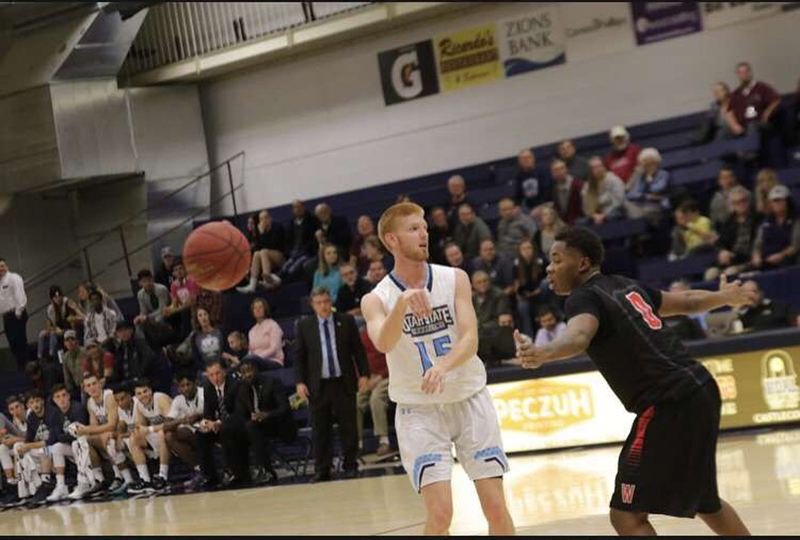 The Utah State University Eastern men’s basketball team struggled to close out games recently, coming up short in losses to Snow College, Colorado Northwestern Community College and the College of Southern Idaho. 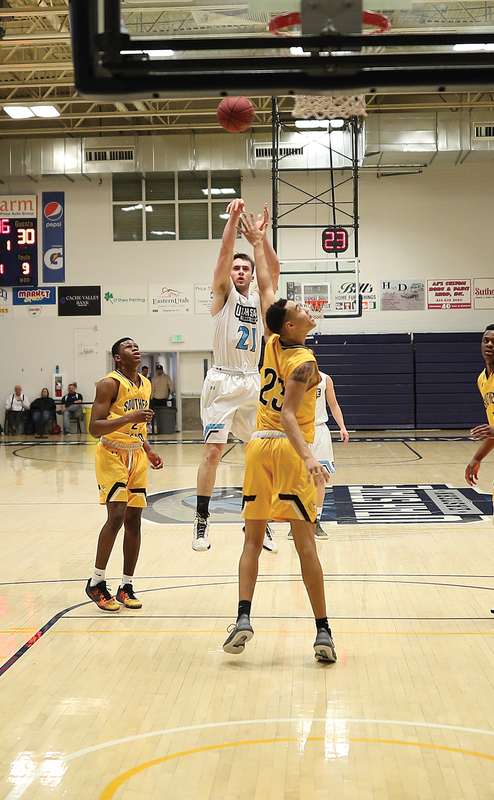 After a couple of close losses in a row, the USU Eastern Eagles were eager to get back home and play a rematch against Snow College. The Eagles played well in the first half and had the lead at halftime, 29-28. In the second half, USU Eastern struggled to stop Snow’s three-point game. They wound up making 12 three-point baskets. In the end, the barrage was too much for the Eagles to handle and lost, 73-63. Despite the loss, Blaze Nield led the Eagles in scoring with 17 points on 6-12 shooting from the field to go along with 3-5 from three-point territory. Nield also led the Eagles with seven rebounds. USU Eastern’s final road game of the conference season was at CNCC. The first half was a back and forth affair, with the Eagles trailing by a slim margin, 35-32 at halftime. The second half was similar to the first half, and the Eagles outscored CNCC 34-31, which meant that the game would be decided in overtime. 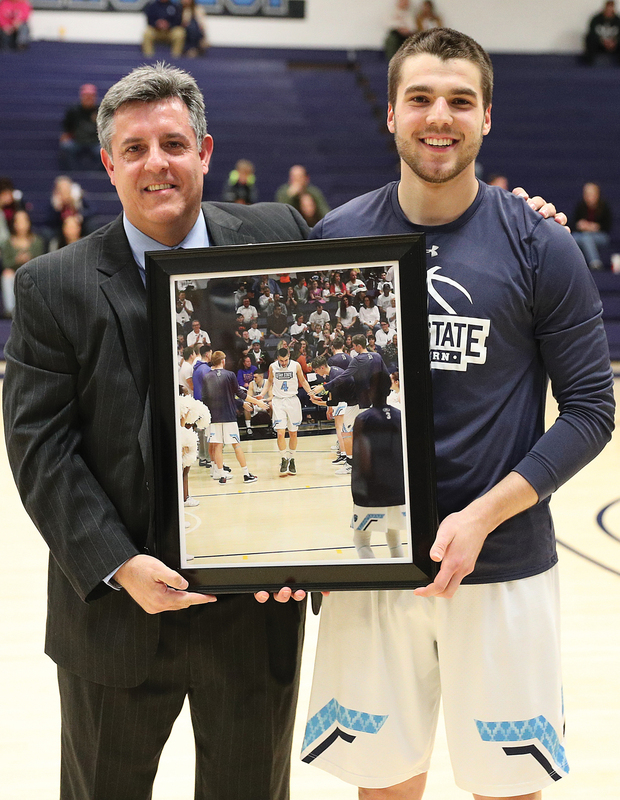 CNCC made two three-point baskets in the extra period, which sealed the outcome for USU Eastern. Despite the close 79-72 loss, Nield led the Eagles in scoring with 19 points on 5-17 shooting from the field to go along with nine assists. 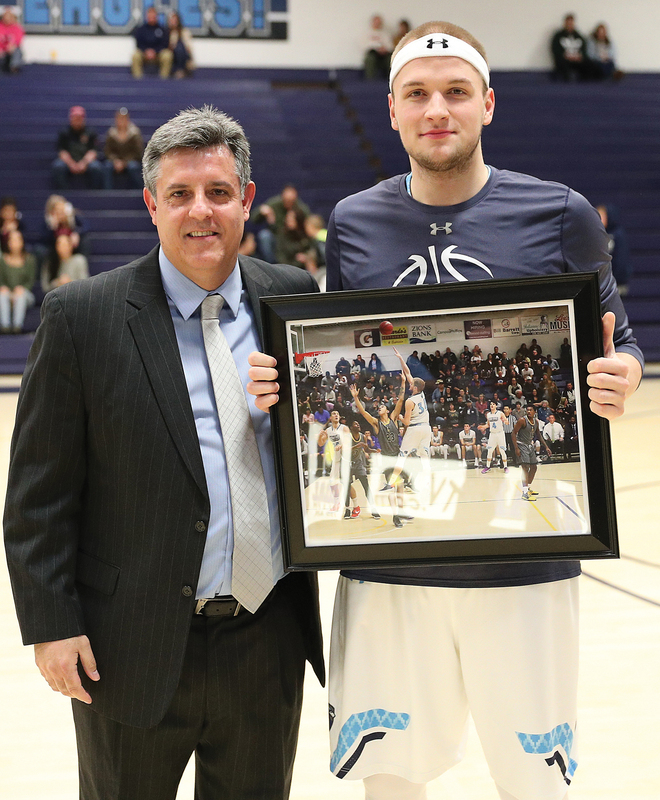 Stevan Jeremic led the Eagles with eight rebounds. USUE’s final conference home game was against CSI. 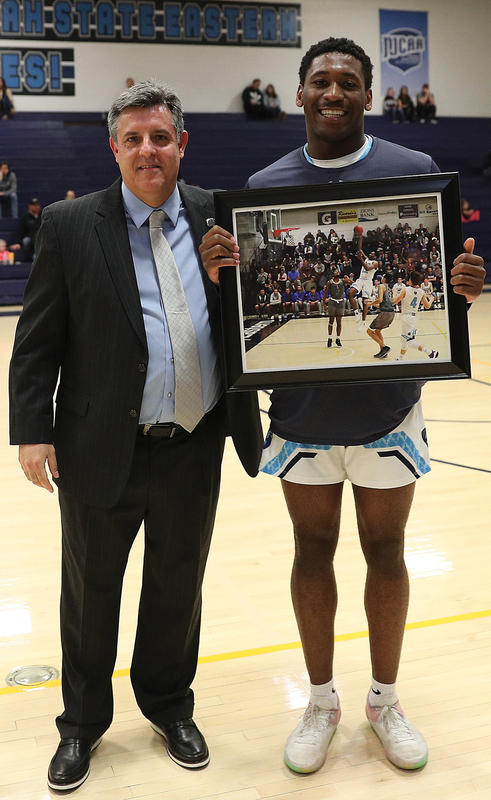 In addition to the Eagles being motivated for a win, it was Sophomore Night, so there was extra excitement in the BDAC. A late score at the end of the first half gave CSI the lead at halftime, 34-33. The second half was tightly contested. With a few minutes left in the game, USU Eastern had the lead. 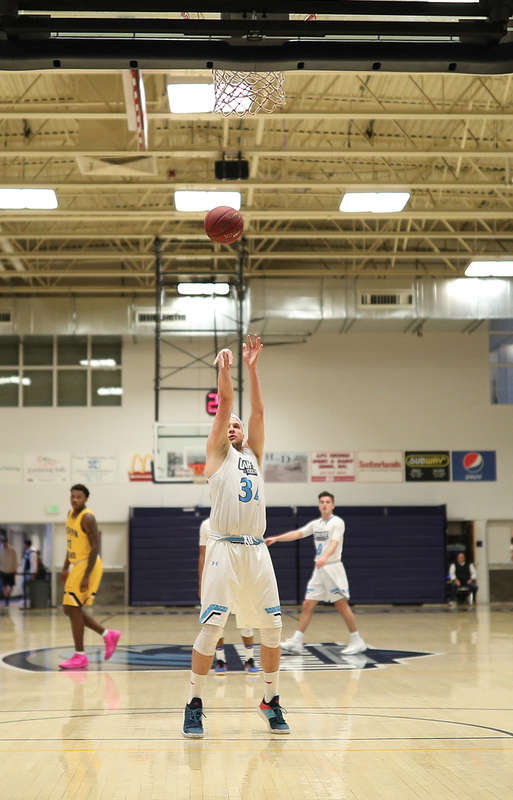 CSI was able to make it a one-point game with time winding down, and after an accidental turnover by USU Eastern, CSI scored with a few seconds left in the game to hand USU Eastern a heartbreaking loss, 61-60. Despite the loss, Nield led the Eagles in scoring with 24 points on 6-17 shooting from the field including 3-8 from three-point range. Ognjen Pantovic contributed a double-double for the Eagles, with 12 points and 11 rebounds. The conference season has been up and down for USU Eastern. The Eagles started 3-0, but lost their last five-conference games to finish up the Scenic West Athletic Conference season 4-8. Despite the rough stretch, the coaches and players still believe they can turn things around, having beaten every team in their conference at least once. The SWAC Tournament is hosted by USU Eastern on its home court. Play begins Thursday, Feb. 28 where fourth-ranked USU Eastern faces fifth-ranked CNCC at 7:30 p.m.